Best Car Wax Reviews: 10 Top-Rated Products in April 2019! Best Wax For Car – Buyer’s Guide & Advice! Waxing is a term loosely used, and sometimes incorrectly. Waxing is a seasonal process that is performed to restore the original “new” sheen to your cars paint. It is also a protective layer when applied correctly and in conjunction with other products. For instance, in the dry season, you would apply a coat of wax once every few months, maybe even just once in half a year. While in the rainy season, or in tropical climates, you might consider waxing once every two months. No matter where you live, and how you treat your vehicle, a good waxing will only last as good as the wax you use. As such, you have to consider all the factors and implications that go with a good waxing. This includes the use of the best wax products, the application tools and the other surface treatments you should consider performing when you wax your vehicle. This guide is split into two sections, the first is a review of the best car wax products on the market, and the second is a comprehensive guide to waxing, polishing, finishing and everything to do with car wax and its application. The first eight products I present are waxes and sealants; the last two are preparation products which in my opinion is mandatory to perform before you start any waxing process. Now, without further introductory words, let’s jump straight into the list of the top ten car wax products. 2. 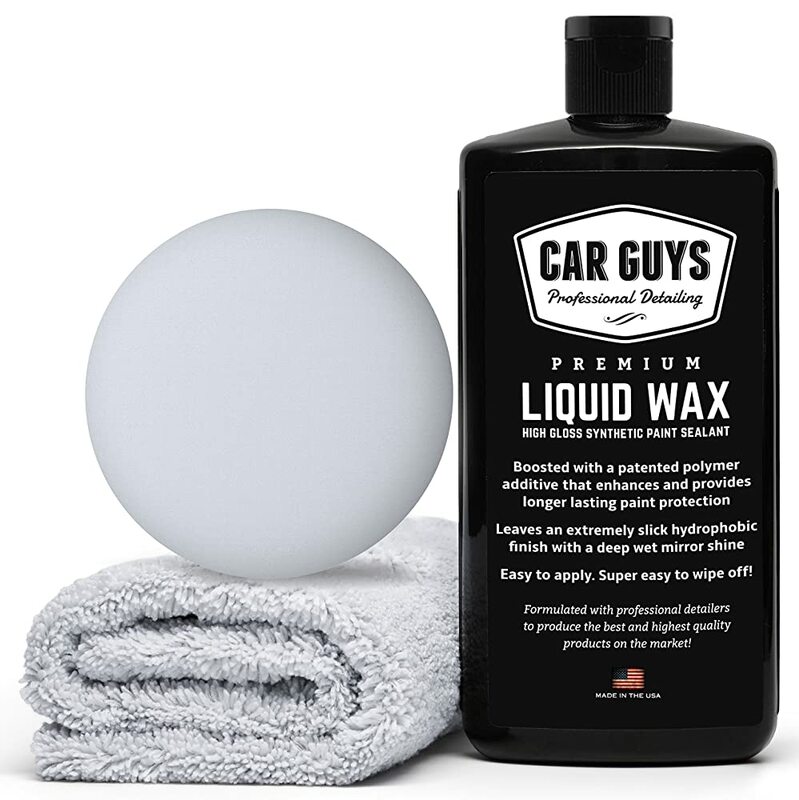 CarGuys Liquid Wax 16oz. 4. Meguiar’s A2216 Deep Crystal Carnauba Wax – 16 oz. 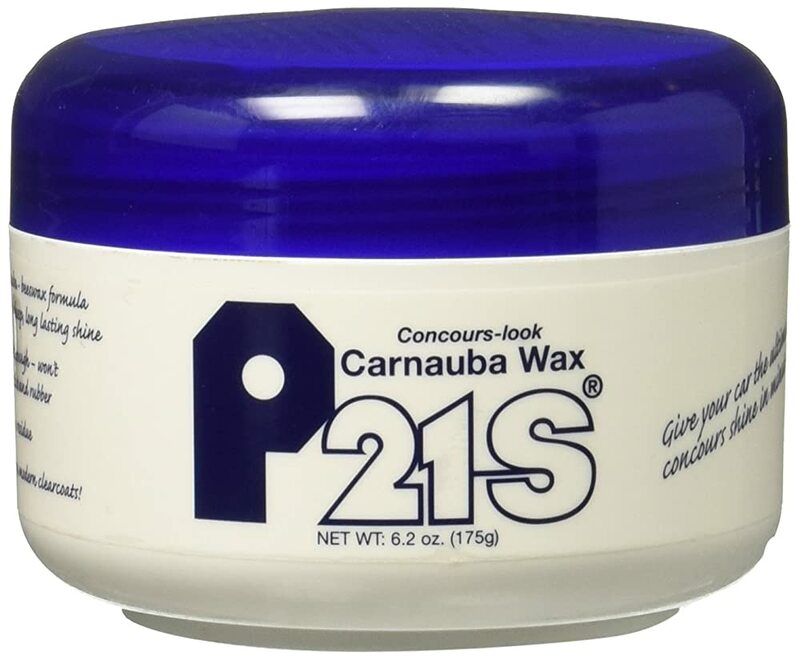 P21s Carnauba Wax is an extremely popular combination wax product that contains both carnauba and beeswax. This combination provides you with a perfect finish that is “white’ residue-free finish. The end result is a dynamic gloss, wholesome and clean. This product is powder-free and is applicable to all surfaces including metal, rubber, and plastic. This product is used by car enthusiast and collectors and is considered to be a top product on the market. This paste is best applied by hand, and the finish you get from the P21 is truly hard to beat. Personally, what I found was a product that comes with all quality ingredients from a reputable company that delivers an easy on and easy off formulation. The P21 can be applied in direct sunlight, as well as on hot paint, and yes, this goes against the instructions, but this was tested and proven to be actual. Bottom line, this is number on this list for a good reason. CarGuys Liquid Wax is a lotion that contains a patented polymer additive that delivers a high shot of glossy, varnish finished coating. The product, when applied, will last for at least 3-4 months in rainy weather, and in dry climates will last up to half a year. 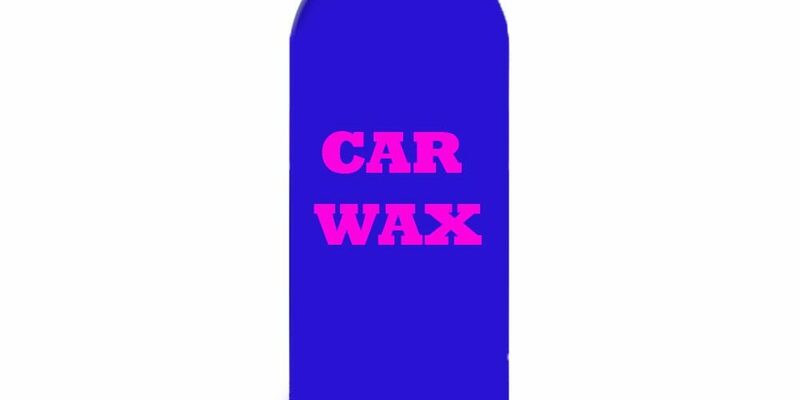 You get a ‘420’ GSM Edgeless Microfiber Towel and a Foam Applicator (professional words for a sponge) together with this 16-ounce liquid wax bottle. What I can state about this product is that it comes with a fantastic guarantee, and is one of the easiest to put on. It lasts a long time when compared to other products in the same category. The price is affordable, and the ingredients are all non-toxic. This makes for an environmentally friendly product, and the microfiber towel is just that little cherry on the top. There is just one word of warning, do not use this on plastic trim, it will just mess that up. Meguiar’s Gold Class Clear Coat Wax is a carnauba-based formula that provides a perfectly rich, colorful finish when applied over all surfaces. This wax is the top carnauba formula from Meguiar’s and always leaves a highly reflective gloss finish. This is due to the proprietary blend of Carnauba and polymers that leave long-lasting protection with a brilliant shine and deeper reflections. What you get with the product is the percentage of Carnauba ingredient in the mixture that delivers extra durability, and it comes with an applicator that is suited for this product. The reflections that it confers are extremely clear, sharp and the paint color becomes significantly richer in depth. This is a 16-ounce product, and it should be applied in medium temperature environments with an ideal humidity level is around less than 65 percent. This product should be used on darker painted vehicles. 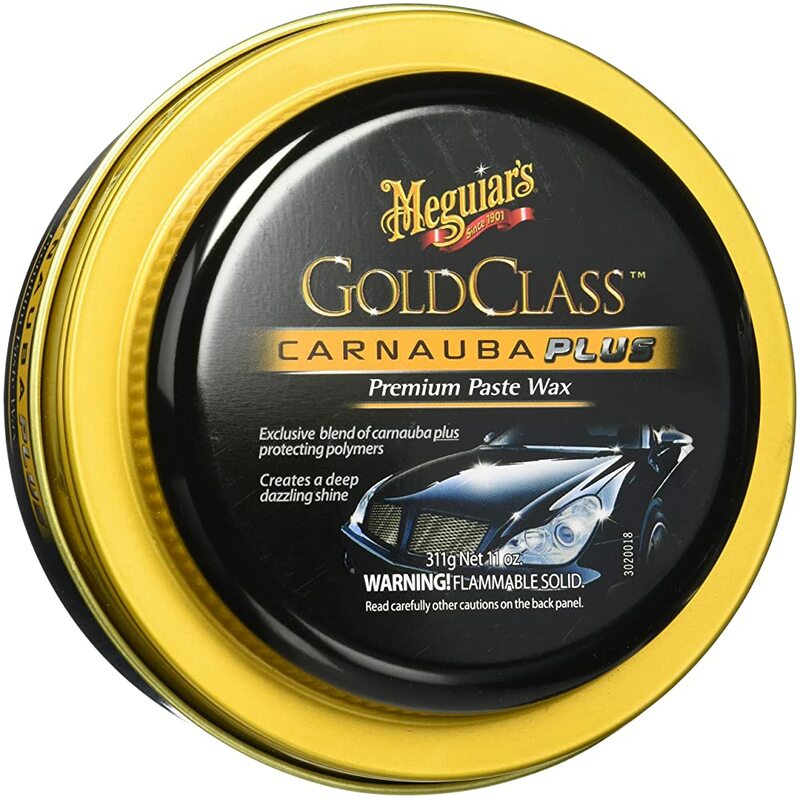 Meguiar’s® Deep Crystal® Carnauba Wax is another prime product from Maguire’s. This is their proprietary formula created to provide a strong, protective barrier on your paint. This wax is a carnauba and polymer mix that delivers dark, rich color, gloss and brilliance. So, what do you get with this product? You get the highest quality carnauba wax providing you with the best finish money can buy at the price they offer, and this is a non-abrasive all-natural ingredient paste that gives you a smoother and easier application. The final product is a UV protected coating that has longer lasting beading and full protection against the elements. Griot’s Liquid Gloss Poly Wax will leave you with the wettest looking surface finish on the market. This is a synthetic polymer-based wax, that is easy and fast to apply over all surfaces. The final finish is that perfect beaded wet look when it rains. This package comes with one PFM Wax Removal Towel with a Hand Wax Applicator Pad. What you get with the product is a durable paint protection coating using the latest synthetic polymer technologies that provide a perfect chemical bonding with the paint surface. The end result is a still-wet gloss finish. The application is easy, and this kit comes with the PFM Wax Removal Towel and Hand Wax Applicator Pad that ensures an easy and smooth application with a speedy machine or hand wipe-off. 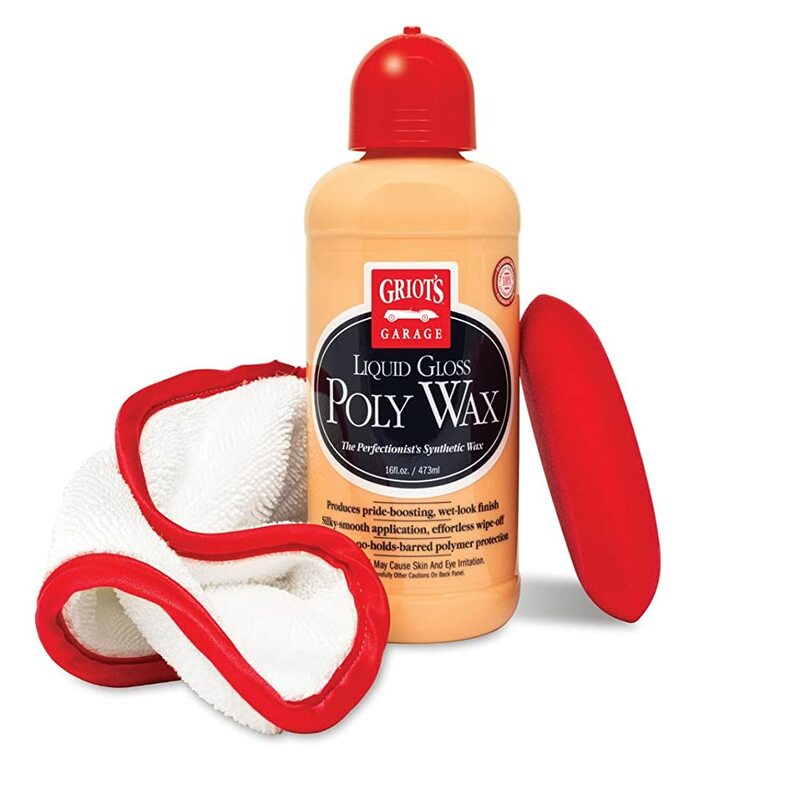 It takes around 15 minutes to apply Griot’s Liquid Gloss Poly Wax, and the curing time is around 30 minutes. 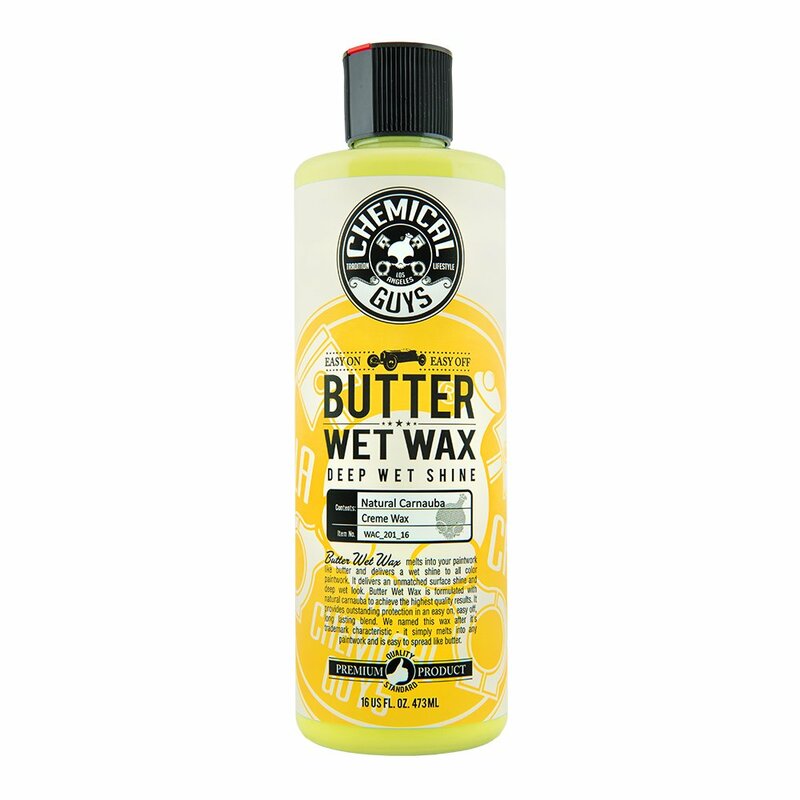 Chemical Guys WAC 201 Better Butter Wet Wax is a carnauba formulation combined with polymers and resins that delivers a melting butter like performance when applying it. This special formulation is UVA and UVB protection and once applied, will provide that deep wet look in an ultra-smooth and thin coating. This is an amazing product slide on the surface of your car like butter, hence the name. When applied properly will leave a long-lasting protective coating with an incredible sheen finish. In fact, after applying this product, you end up getting a shiny and wet as butter look without the greasy smear. This is a perfect solution for dark finishes, and it works great on all colors ranges. You apply this without cleaners or abrasives, so you don’t need to polish the surface before use. The surface finish is a slippery non-stick totally wet look that delivers ultimate protection and gloss. This is Chemical Guys WAC-302 5050 formula that comes in paste form and is made of a formulated carnauba wax combined with polymers and resins. This product is exceptionally high performance, and it delivers a UV protective coating, that is both shiny wet and warm at the same time. This special edition formula was created to bond effectively on all ceramic and water-based paint coated vehicles. Just so out appreciate the efforts placed in developing this product, consider the following facts. The production process pours the non-separated wax paste into the tins in an environmentally controlled condition using heat resistant tins. The emulsion is then cooled down to room temperature in an airtight and heap filter clean environment, so there is no dust or particulates contaminating the surface of the open tin. These tins are allowed to cool down for 24 hours, and then each tins content passes a quality assurance protocol to assure it retained its structural integrity, which means no splitting. After this is completed the tins are sealed and packaged, ready for shipping. This is the world-famous Turtle Wax® Jet Black® Black Box® Finish, Kit. It is a comprehensive finishing kit for dark vehicles and is specially designed for black cars. 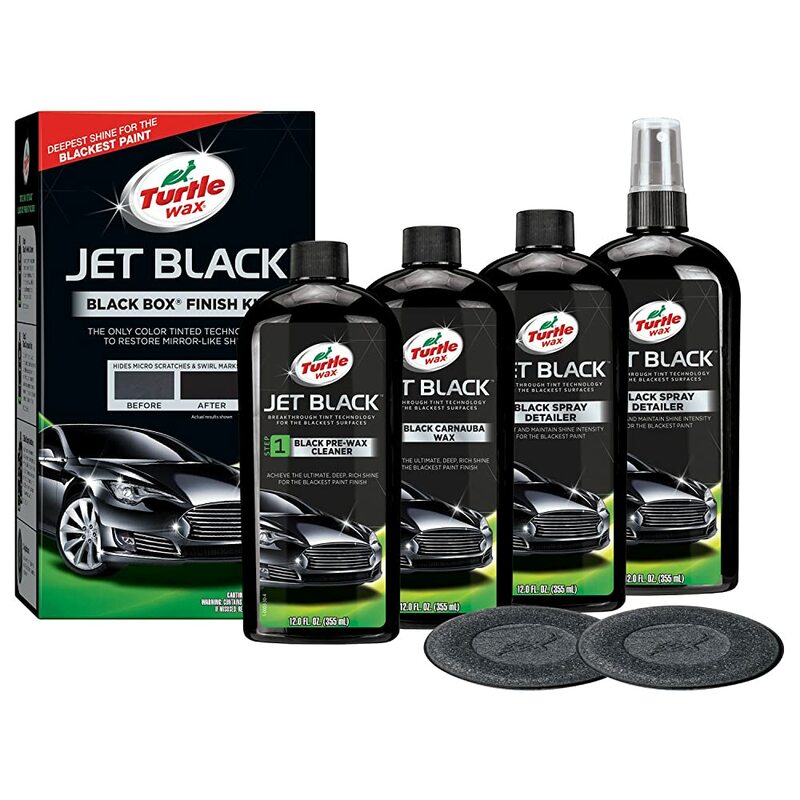 This kit comes with the Turtle Wax® Deep Black Carnauba Wax (12 oz) bottle that is used to complete the process, and deliver you with a revitalized, brighter sheen to your black and dark grey paints. The 2 Black Spray Detailers (12 oz) are used to cover up any scratches and blemishes, and the pre-wax cleaner is used to assure an applicable clean surface for the wax. This product will replenish faded color and deliver an exceptional and rich deep shine like the car was when it came new from the manufacturer. Where would this list be without the world famous and ultimate car wax preparation product from the house of Turtle Wax®. This is their Color Magic™ which is actually a two-part kit that includes both a solid, deep chip wax filler stick with a liquid polish. The wax stick is used to cover starches and fill in small holes in the surface of the paint, while the liquid polish is used to rejuvenate the look and protect the color of your vehicle. This product comes in six colors, and a nanotechnology-based polyurethane formula that lasts for a very long time. This is a perfect kit to prepare your car for waxing. 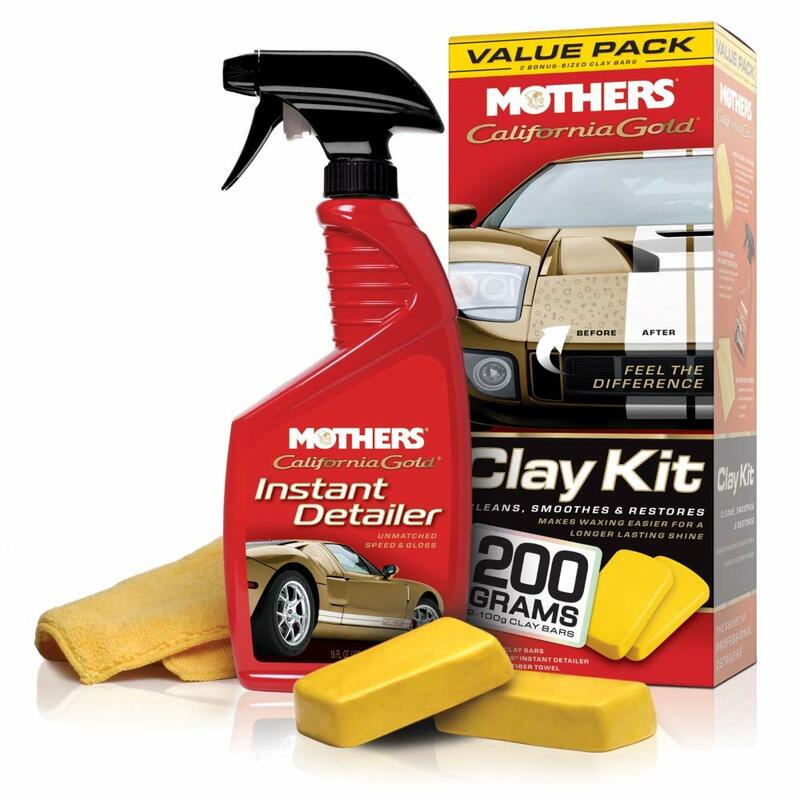 Mothers® California Gold® Clay Bar Kit is a preparation kit for waxing. This perfect formulation of surface cleaning removes all particulates and contaminants that polishing, and washing cannot or do not remove. This bar is just firm enough to remove non-adhered debris, without damaging the paintwork. Once you complete the surface treatment, you are ready to be either polishing and waxing or immediately wax your car. To add a bit more detail and juice to why you want this product, let’s look at each component individually and understand the holistic approach. The 80 g. Mothers Clay Bars are synthetic clay is made of a proprietary abrasive compound that does not alter the paint or color it. It is also extremely paint friendly and is designed to be softer than the paint but harder than any contaminants adhesion to the paints surface. The 16 oz. Mothers Showtime Instant Detailer is a lubricant for the bar. This lubricant sits between the bar and the paint, which compounds the anti-scratch properties of this product. While the clay itself cannot scratch the paint, a contaminant that is dragged along the surface can scratch the paint, and this lubricant is the protective barrier that impedes scratching from contaminants. The 15” x 15” Mothers Microfiber Towel is a soft but strong blend of polyester and polyamide. You use this towel to wipe the paint surface clean after you finished applying the cleansing bar process. As you can see, this is a comprehensive once over clean that is mandatory after a standard car wash. If you want to be sure your car is ready for waxing and you don’t want to polish the paint surface, then this is the product of choice. The base wax of all car waxes is Carnauba. This is a palm tree leaf-based wax, which is endemic to a specific type of palm tree only found in the North of Brazil. The wax is processed out of the leaves in the form of a yellow substance and is usually combined with beeswax to form the basis of good car wax. To improve on the performance and durability of Carnauba, turpentine, natural and synthetic polymers, and other resins are added in different formulations by different companies to produce results that focus on sheen, gloss and overall depth of finish. Carnauba is yellow in its pure state, so a white wax is not using pure carnauba as its base, while this might bother some users, the actual longevity of a pure carnauba formulation will be shorter than a synthetic or higher mix product. Yellow carnauba is also much more expensive, so the higher the carnauba content, the more expensive the car wax. The purer form of carnauba waxes is usually preferred by car dealerships showing off their products and high-end owners and collectors. Synthetic wax is also known as paint sealant and is made of synthetic polymers that adhere and bond to the paint surface for longer periods. Due to this, most car owners prefer synthetic wax to natural wax since it costs less to apply and lasts longer. In some instance, a good synthetic wax will last up to 12 months. The only downside is the shine, which is by far inferior to that of a carnauba wax finish. Both natural and synthetic waxes come in three forms, spray, liquid and paste. There are differences between the three, not only in application but in performance. The original form of wax is a paste, and this product has a hard texture that makes it harder to apply, hence the term “elbow grease.” Applying this requires some tricks of the trade, and these essentially include warming the cars surface temperature to soften the cream, which includes either waxing indoors under garage heaters, or turning on the engine and warming up the vehicle before use. Purer carnauba waxes only come in paste form, and their application is always a professional job. Liquid waxes are not like water, they are more like suntan lotion, and you apply them in much the same way. These products are preferred by most today since their application is much easier than paste. Carnauba liquid waxes contain a higher percentage of synthetic polymers, which actually prolong the life of the application. Spray waxes are used for quick repair jobs. This means that if your surface or a part of the surface is losing its sheen, you can apply a quick spritz of synthetic wax in the spray form and rub it in until you get the original sheen back. These products lose their finish fast and are only used for “performance” applications that demand an on the spot good look. Once you are required to use a spray wax touch up, consider performing a full waxing. 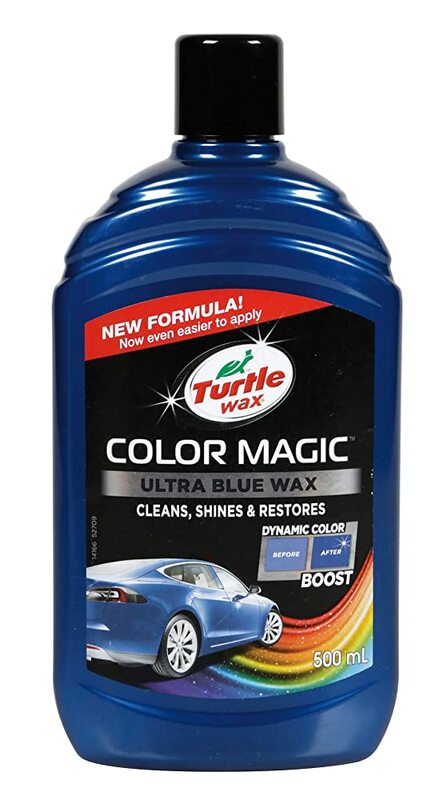 Colored wax is a synthetic wax that comes with a specific car color pigment added to the formula. These waxes are used to fill in scratches and blemishes on the surface of the car. However, they are not considered to be useful since a proper preparation job includes surface treatment before waxing. Essentially, professionals claim that this is not a good product to use and that there are no “one in all” solutions for car surface treatment. The best way to apply any kind of wax is by hand. This is a product applied with “love,” and that love is an appreciation of your car, its appearance and how you look together with it. There are a number of key rules to remember when applying wax, and these rules are put in place to assure you of an effortless application with perfect results. Apply the wax in the shade, or in a heated room. If you are in direct sunlight the chances are the wax application will dry too fast leaving thick smears that are too hard to buff. Make sure the car surface is dry, and do not wax in humid or wet conditions. Water makes the wax smear during application, and you will not get the result you are aiming for. Moderation, this means only apply a very thin smear or a small amount of liquid or spritz to the surface when applying the applicator. A thick smear will make the wax difficult to apply evenly over a larger surface area. This is a perfectionist application process, meaning you need patience and to apply the balm in small thin streaks, the liquid in small damp smears and the spray in a light-handed small area per application. Use a poly foam applicator; these are proven to deliver a thin even coat when applying small amounts of wax. These pads are inexpensive, absorbent, durable, washable, and reusable. Use a microfiber cloth to buff away the haze. Microfiber is an exceptional quality product and will buff evenly the applied surface. Make sure you followed the thin application rules, or you will end up with a clogged microfiber cloth that is unusable once it is sullied by too much wax. Microfiber is a lint-free material, which means you do not get those pesky annoying fibers when rubbing, and it also polishes the paint surface at the same time. While I personally don’t like this approach, it is in fact extremely efficient for larger vehicles such as SUV’s Trucks and Busses. So, if you have a large vehicle and don’t want to spend a week buffing it up, you will need a buffing machine. These are off the shelf items, and you must only buy specific car wax applicators. 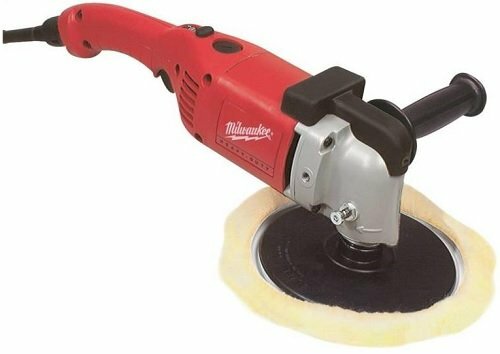 These are soft buffing wheels that come in a variety of seizing and thicknesses. To apply the wax, you need a soft absorbent pad and don’t slap the wax on the surface of the pad or the car in large chunks. The thin rule applies here too. Otherwise, you will get a load of splatter. When using a paste, tip it all out onto an easy to access surface (not the vehicle) and then you swipe the pad over the wax every time to add more wax for the application. Liquid wax is applied in thin lines around the edge of the pad, 3” thick is needed, and three such lines is the best method. Once you have applied the wax to the pad, press the pad onto the surface of the car lightly and give it a quick smear, this will reduce splatter too. Set the speed to 3; this is the fastest speed you will need for wax. Apply the wax evenly and turn off the machine before lifting it off the surface of the car. After applying the wax all over the vehicle its time to buff up the surface. Replace the waxing pad with the microfiber pad. Turn on the machine, and do not press too hard, you don’t want to remove the wax, you just want to buff it up. Some wax products will not allow you to apply an entire surface, in this instance, you might prefer to apply them by hand. Perfect Shine Tip: It might be in your interest to invest in a high-grade, high percentage of yellow carnauba wax product to finish of a sealant process. 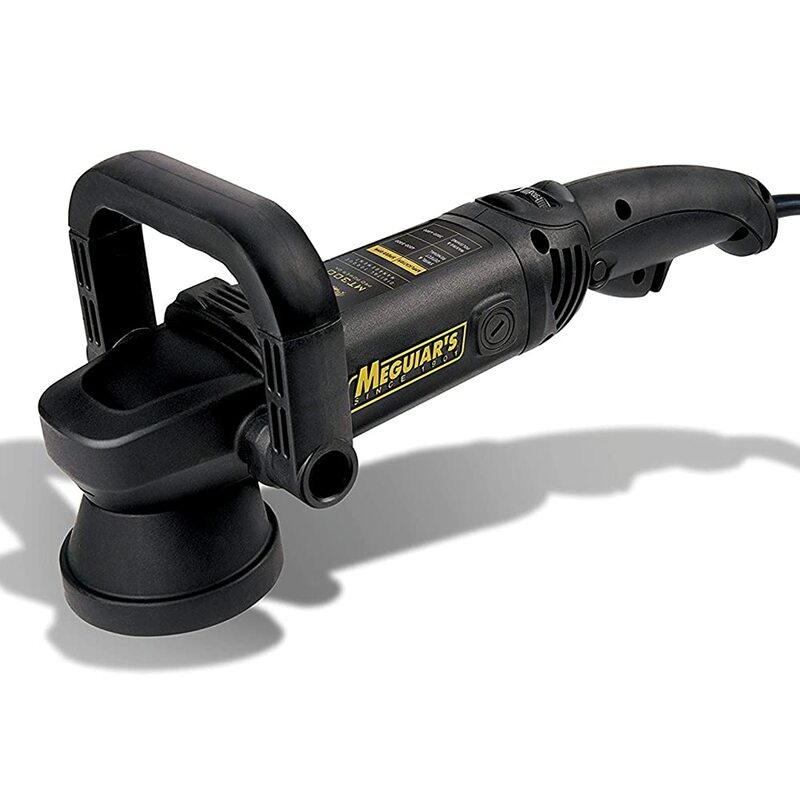 There are many ways to apply automated buffing to a vehicle; these come in a number of forms form the basic hand-held drill to a bespoke car buffing tool. The main difference between these two approaches in professionalism. A drill or standard tool that can hold a buffer does not have car specific settings, so you cannot apply the wax or buff the car with optimum performance. A bespoke car waxing and buffing tool is designed for this purpose and will deliver a perfect solution every time you use one properly. Just to provide you with some substance to appreciate the bespoke devices, here is a list of the best car buffing and waxing machines on the market. The Milwaukee comes with a variable switch that gives you full control over the rpm, and you get an easy and lightweight unit that is fully adaptable to any application. It is also extremely budget friendly. 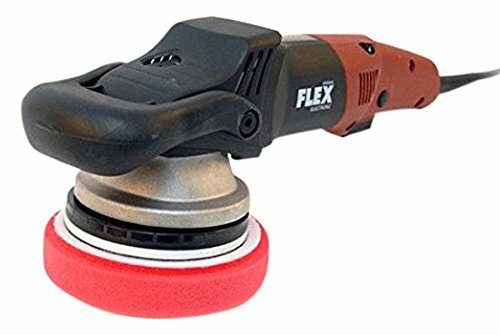 The Flex is a high-end model; it comes with a forward holding grip and an rpm controlling switch. 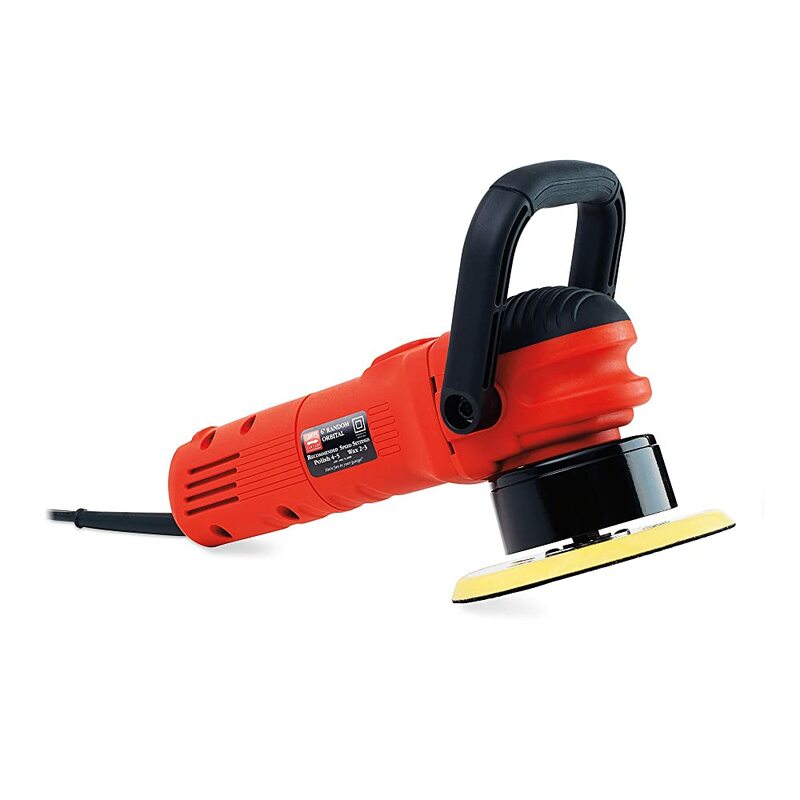 This is an exceptional tool and is designed for larger surface jobs, such as commercial applications. The price is accordingly higher. The Griot is also a forward held unit that comes with an rpm selector switch. However, this is a much lighter unit that the heavier flex and the price is a quarter of that. However, it is for smaller applications. Meguires for me is the comprehensive blend of comfort and price, it’s not too expensive, and it’s not too light. This front support device has a great rpm control selector and is very easy to use. When you combine this unit with the Meguiar’s wax products, you end up with a perfect comprehensive solution. Car Wax, Car Sealant or Car Polish? Now its tie to comprehend the meaning behind these different products. After all, you know now how to apply wax, how to shine up your car, and which products are good for your vehicle. You also have a choice of the best waxes that were presented above. Let’s start off with a fact; wax is a sealant, the sealant is wax. Professionals tend to call natural products wax, and synthetics; sealant. There is one other distinction in place; waxes are used to buff up and shine a car and sit on the surface, while sealants also provide a bonded adhesion to the surface of the paint, which makes them last longer. The other main difference is in the finish; a high-grade natural wax will always produce a much better glossy shine than any synthetic sealant. So, we have distinctions between two products, what about the third, the polish. Well, the polish is not a wax or protective coating, it is an abrasive application used to finely “grind” the surface of the paint, creating a micron level equal surface finish, hence polished finish. The polished finish is reached through varying levels of abrasive substances. The finished, polished surface is not protected by anything, and that is why a polish is a pre-wax treatment that is used occasionally but not all the time, to provide an even and shiny (Polished) surface on which you apply the wax or sealant. Wax is a natural organic compound that comes from various sources, for car applications, these include fauna-based waxes in the form of beeswax and flora-based waxes in the form of the carnauba palm tree leaf wax of North Brazil. Carnauba is popular because it is nearly perfectly insoluble in water, making it the best natural water-resistant coating that withstands rain and humidity. Its melting point is quite high, set an 82-86 °C which means it won’t melt in even the hottest climates on earth. While this wax is only located in one area no earth, it is the best material found that produces the most durable results with the brightest and deepest glossy finishes against any competing ingredient. Since it is a hard substance, it is always mixed with other substances that reduce the hardness without compromising the shine. The bottom line is that most car waxes are a combination of ingredients based on a carnauba percentage, and include all kinds of additives such as beeswax, synthetic and natural polymers, solvents and resins. A fact about the 100% Carnauba content. This means that all car wax products with the words 100% carnauba are actually claiming that they have a percentage of carnauba in the product. The term 100% is rubbish; it’s a marketing misdirection since carnauba wax is 100% itself, it is not made up of anything but itself. As such, all carnauba products are based on 100% carnauba wax. It tells us that inferior products need to use marketing tactics to get us to buy them. A good product will not claim 100% Carnauba wax; it will state that the car wax is a carnauba-based formula. Check out the Maguires products I presented to you above; they are not 100%, they are just carnauba. This shows you the confidence and trusts the company has in its products and its customers, as such Maguires is a leading trustworthy company and their waxes are the best in the world. Now let’s take a look at the synthetics. Sealants are wax-like products made of synthetic materials. In the past they were very similar in performance to natural wax products, and also suffered the same issues that early appliance suffered from, which included their susceptibility to higher temperatures as well as to automatic car washes and some car detergents. Modern material science has introduced silica-based sealants; these are also called ceramic or ceramic coating, quartz, silicone-dioxide as well as SiO2 (which is Silica, or Silicon Dioxide). The main difference between these products and natural wax is in their bonding properties. Silica-based sealants chemically bond to the surface of the paint and even cure, over time. This cured bonded surface adheres for longer periods of time and acts as a secure barrier, protecting the paint from the elements and corrosion. Today, you will actually find some sealants delivering higher quality finishes than some formulated natural wax products. What seems to be happening is that many natural wax companies are forfeiting their finish for better adherence and easier application, using alternative ingredients rather than raise the percentage of the more expensive Carnauba wax. As such, when the carnauba wax content goes below a certain threshold, their product essentially loses all its shine in comparison to a synthetic. Car polish is not a wax or a sealant; it’s a preparation used to create a fine polished surface that must be covered with a protective layer. Car polish is an abrasive substance, it comes in a number of grades, and it is used rarely since overuse will wear down the surface of the paint. Modern polishes use diminishing abrasive ingredients; these are particulates that break down into smaller particulates, getting finer and finer as the process proceeds. These diminishing polishes are much better for car applications since they eradicate the need to use more than one substance, and let you perform only one polish procedure. Since polish is not a protective layer, but a process that produces an even surface, and the finer the surface, the higher the sheen. Consider a mirror finish is a finely polished surface but is open to the elements. For everyday use vehicles, and commercial applications, use a synthetic sealant. For ultra-cars, sports cars, and pimped-upgrades use natural carnauba wax. Take heed; polishing removes a very fine layer off the surface of the paint. As such, they will, if performed more frequently, dull the paint to the metal. Polishing should only be performed once a year at the most, preferably not even at that frequency either. You should either perform a good clean, or use the Mothers Clay bar approach, which is essentially a harder clean than standard soap, but nonabrasive like polishing. I know that you were not expecting this question, but here it is as a bonus. A glaze is a type of polish, and it contains an additional ingredient that is mixed with the abrasive component, this is usually Kaolin with enhancing oils. A glaze is an advanced polish that uses the added ingredients to fill in any larger imperfections in the surface and leads to a much higher quality finish, or polish, or in this case glaze. Kaolin is clay with the chemical formula of Al₂Si₂O₅(OH)₄. This clay in powder form provides a much smoother and softer finish and is easier on softer paints. As with polishing, after glazing, you must seal the surface with a wax or sealant. Elbow grease is an old saying going back to 1672, it was used to express how a printer will do more harm than a preacher, and printing was then performed by turning a greased screw holding a top plate to a lower plate. Since elbows are used to run the screws, the term “elbow grease” came into being. Now, why did I go to such lengths to give you this ridiculous fact? I shared this with you because waxing is a hard process no matter which way you perform it. Don’t expect all the “easy and simple” expressions of application to be truly factual. Waxing starts by cleaning the car, that’s the first step, and you hand clean it, you do not automatically wash it. So that’s the start of the process. You then make sure the car is in a protected environment, you don’t want to start preparing the surface for waxing in an extremely cold, or wet or dusty surrounding. The actual process is arduous, don’t think that waxing and buffing a car is easy. You are starting a whole-body coverage process, and you need to be exact. Even when holding a machine, you will exert strength, the most basic and reliable buffers weigh around 5lbs., so if you hold that for an hour, think of the gym time you are saving. There are two sections to waxing after cleaning, if you don’t perform a polish first, then you start by applying the wax, and then the buffing. So, my two bits of advice are this; expect to exert a lot of elbow grease, prepare enough materials and microfiber cloths for a complete job from start to finish. Take a day off and start early. Break the day up into sections, cleaning, (optional polishing), waxing, buffing.